The Creative Expo Taiwan, the major cultural exhibition in the country, is held every year, with its main spirit delineated by the design of the exhibition theme pavilion. The theme in 2017, “Cultural Explosion”, presented most diverse contents from spatial and visual designs in a way that differed from traditional displays of cultural and creative merchandise. In a filigree manner and often looking as if floating, the core themes were framed on transparent flags that partly featured quotes and which were hanging from the ceiling to act as walls that could also be passed through. Affecting our everyday lives, they aimed at leading people to think “What is culture?” and “How can our lives be made better?”. 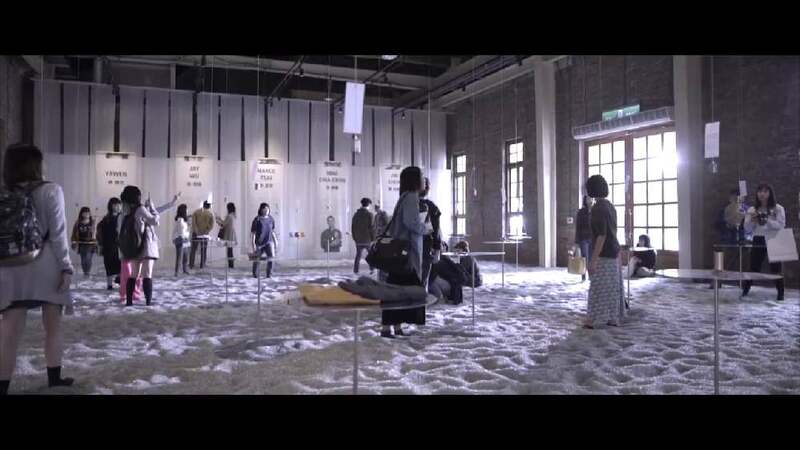 Linked to Taiwan’s education, design and traditional industries, the exhibits did not convey the moment when a cultural explosion occurs, but they discussed the aftermath and waves caused by such an explosion. This notion was most clearly expressed in the space filled with transparent crystals, which made the waves triggered by the visitors directly tangible. This exhibition captivated with an unusual concept, in that it combined traditional techniques and materials with contemporary design and state-of-the-art presentation forms, and thus bridged the gap between the past and the future. With a spatial design that involved different senses, the exhibition appealed to a wide audience and conveyed the notion of a cultural explosion in a multifaceted and engaging manner.